The federal government says individuals will pay an average of $328 a month, before tax credits. WASHINGTON — With new health insurance markets launching next week, the Obama administration is unveiling premiums and plan choices for 36 states where the federal government is taking the lead to cover uninsured residents. 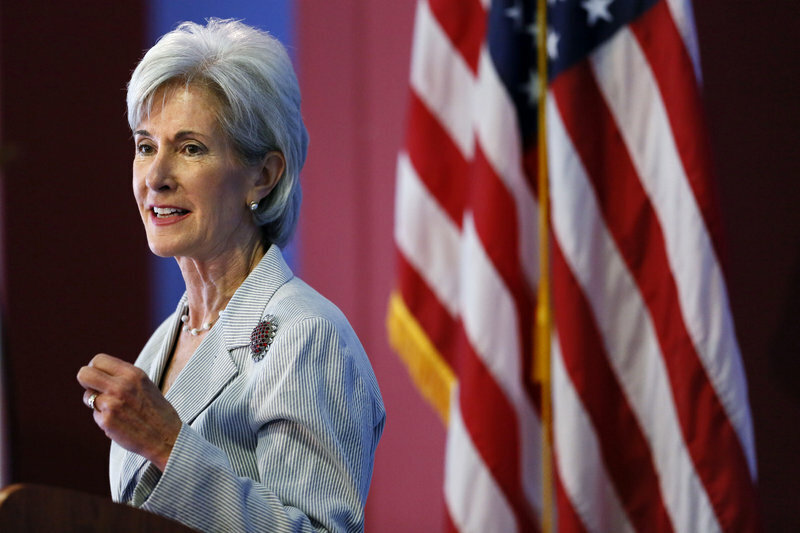 The overview of premiums and plan choices, released Wednesday by Health and Human Services Secretary Kathleen Sebelius, comes as the White House swings into full campaign mode to promote the benefits of the Affordable Care Act to a skeptical public. Congressional Republicans, meanwhile, refuse to abandon their quest to derail “Obamacare” and flirt with a government shutdown to force the issue. In Maine, one of the 36 states where the federal government is setting up the exchanges, Anthem Blue Cross Blue Shield and Maine Community Health are the only two providers offering coverage under the Affordable Care Act exchange system. A report by Health and Human Services estimated that about 95 percent of consumers will have two or more insurers to choose from. And the administration says premiums will generally be lower than what congressional budget experts estimated when the legislation was being debated. About one-fourth of the insurers participating are new to the individual coverage market, a sign that could be good for competition.